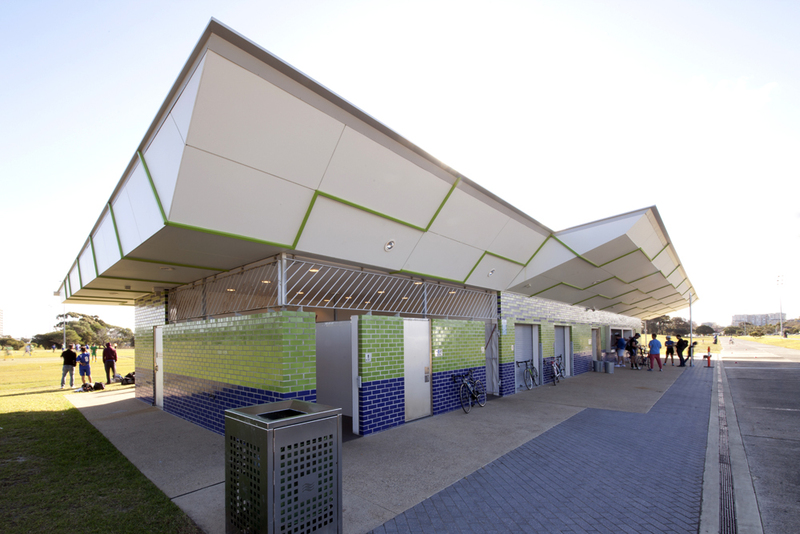 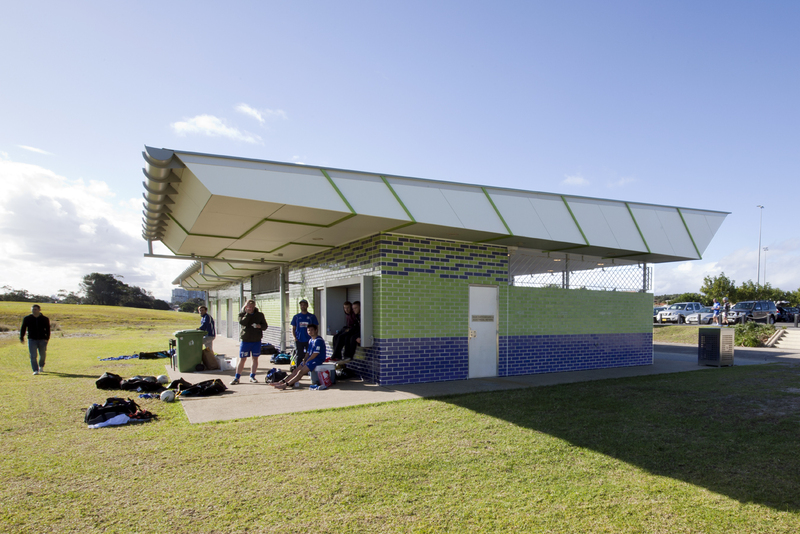 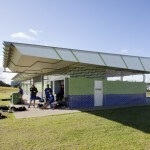 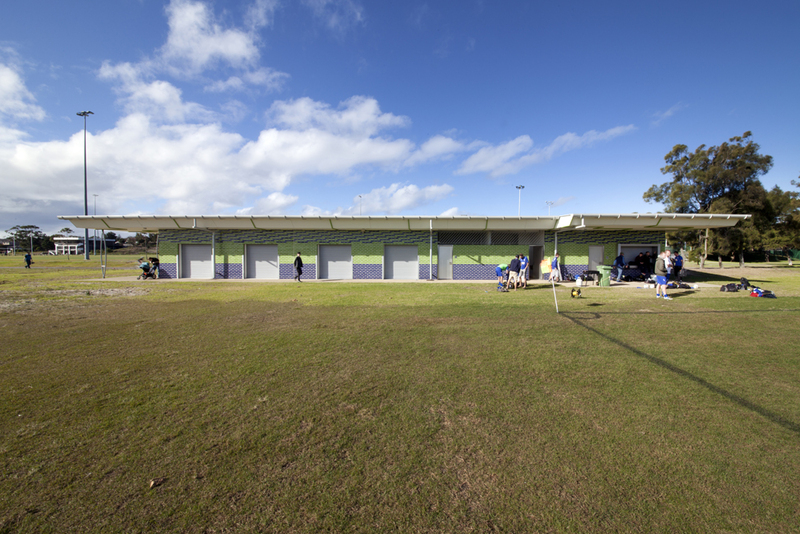 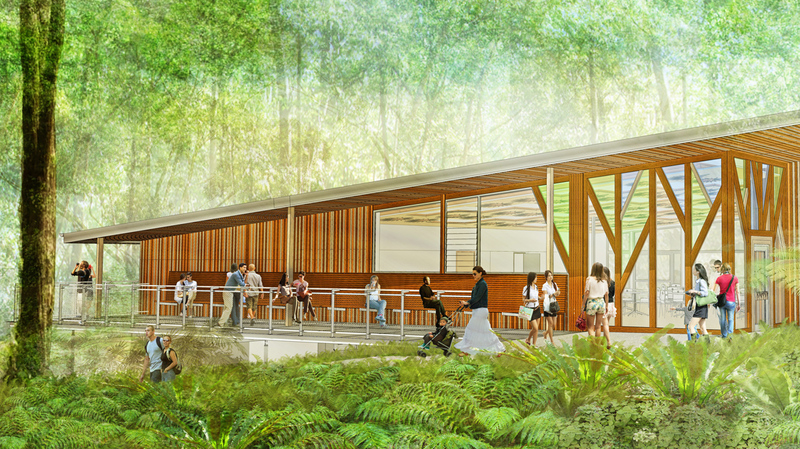 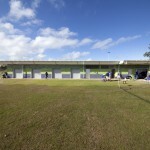 The Heffron Park East Sports Amenities Building, for Randwick Council, incorporates toilets, showers, change rooms, canteens and storage facilities. 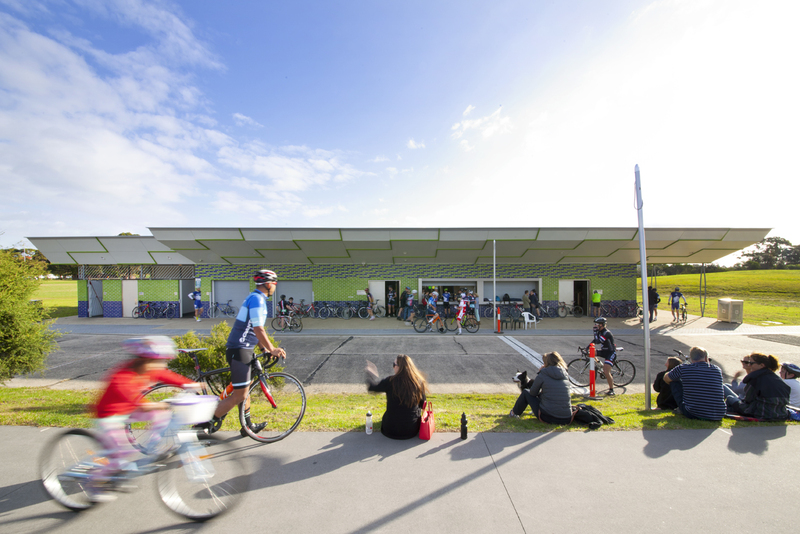 It caters principally for local cycling clubs who use the Criterion Cycling Track with the finish line next to the building. 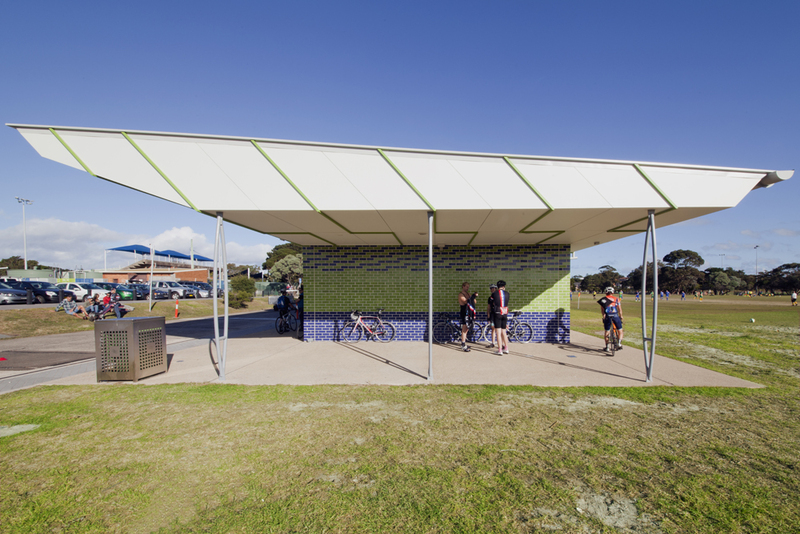 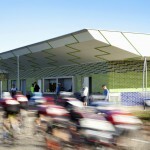 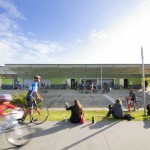 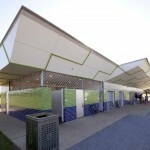 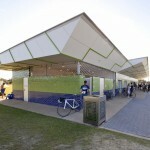 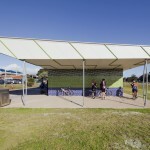 The cantilevered roof form creates a large sheltered viewing and assembly area right next to the cycling track. 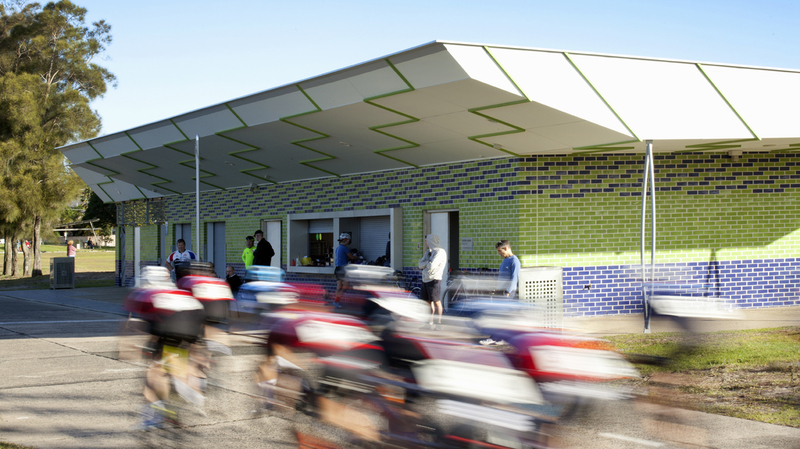 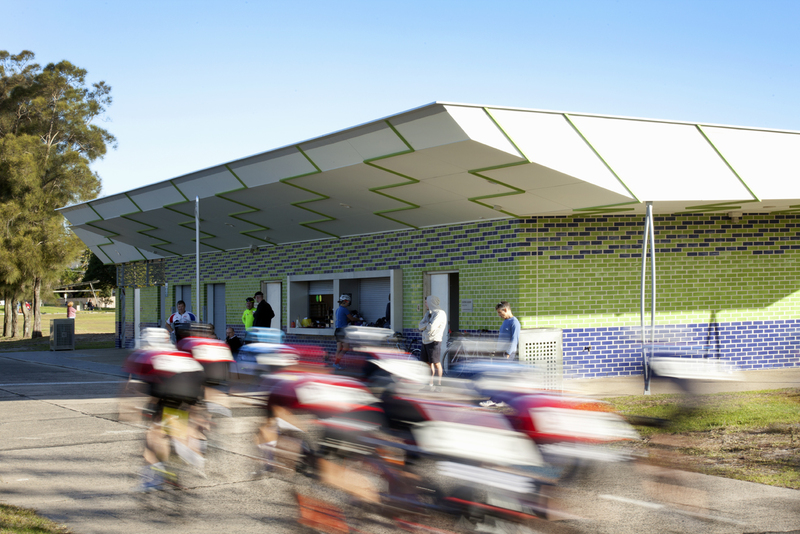 The coloured chequer-flag pattern glazed brick walls and the sharply angled roof form are intended to evoke the speed, colour and excitement of competitive cycling. 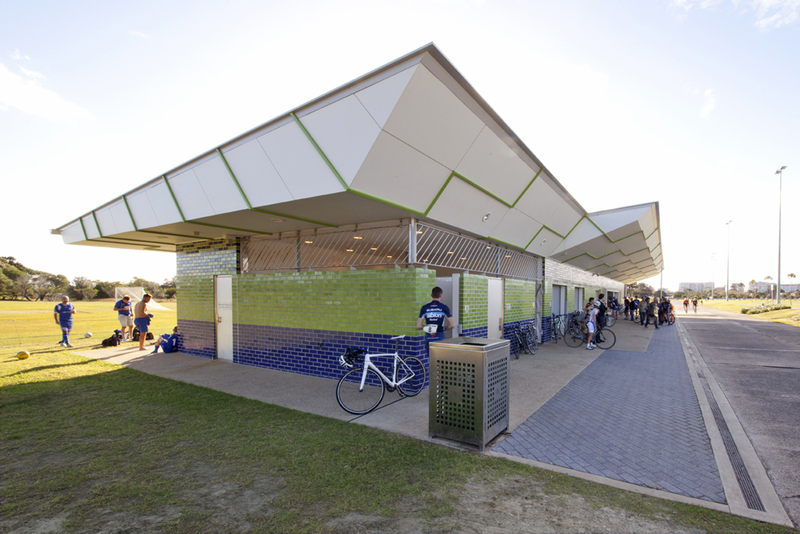 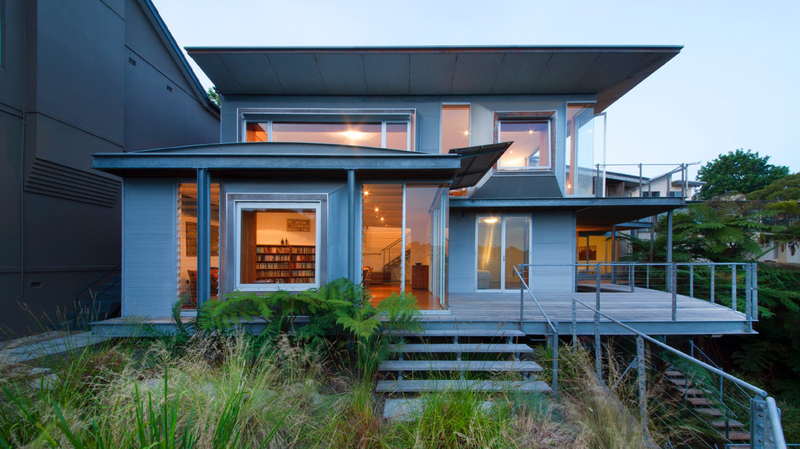 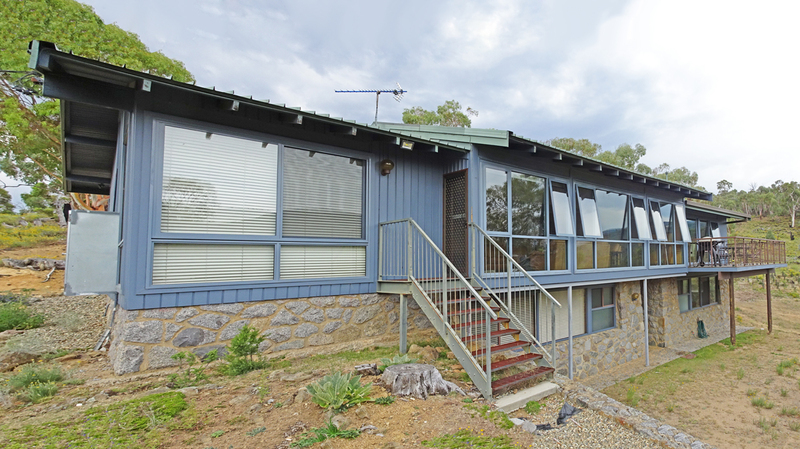 The building was a Finalist in the Public Building Category of the Randwick City Council Urban Design Awards 2015.